Good morning my friends! And how is the countdown to Christmas progressing for you? I'm slowly making some headway, however it seems to be taking me longer than ever this year. If I can just get my cards done and a few more cookies baked, I think I'll be in fairly good shape, though! I do have some good news--my final monthly ornament has been stitched and finished and I couldn't be more pleased seeing them all displayed together. My December ornament is from a very old Leisure Arts Magazine from way back in February 1993. It is actually just the bottom motif of a very pretty monochromatic sampler called "Woodland Peace". I enjoyed stitching it so much, that you may just be seeing other motifs from this sampler stitched up as ornaments in the future. DMC 3750 was used for my December ornament--and it has to be one of my favorite DMC colors. It's blue after all and I love any and all shades of that color as I'm sure you know if you are a regular reader of my blog. This skating scene is stitched over one on 28 ct. white evenweave and then accented with a pretty coordinating blue snowflake fabric, some tiny lace trim, a silver button, and a couple of silver bells. This whole ornament has such a nice old-fashioned appeal, don't you think? Do you have a favorite? I think mine is my October ornament "Good Tidings To You," but close seconds are November's "Oh, Joy" and January's "Santa Quartet." I tried to make each one a bit special with added buttons, bows, and bells. Some are frilly, some cute, some a bit country, and some are more traditional--but, overall, I'm very proud of my "2011 Collection"! On to the second part of my blog post title: Crazy For Cranberries... Last week, I had the pleasure of meeting Lee and Linda for lunch and a bit of shopping and stitching. I wanted to take them a little gift for Christmas so I whipped up two of these tiny treasures. What does this have to do with cranberries? Well, the name of this design is Cranberry Deer Pinkeep by Beehive Needleworks. It was the first time I had ever stitched one of Judy's designs and I really enjoyed it. These are stitched over one on some mystery 28 ct. linen with DMC 221 (which I call the Prairie Schooler Christmas red!). I couldn't decide whether to turn them into hanging ornaments or just leave them as pinkeeps so I included a little hanger made out of the same cording for Lee and Linda. That way they can decide how they want to display their pieces and it took the pressure off me. Too many decisions this month anyway, don't you think? So, I set out to do it all by myself (which seems to happen a lot at Christmas time when you are the lone female in a family with older sons!)... Did you know that you can pop regular old popcorn right in the microwave?? Who knew?? All you do is take about 1/4 cup of plain popcorn, place it in a small, brown paper lunch bag, fold down the top edges several times, lay it on its side, and microwave it on high for 1 1/2 to 2 minutes (remove when the popping slows down so it doesn't burn). I then took some invisible thread, a long, strong needle, and my cranberries and set to work. You can use any pattern you want, but I chose a three popcorns to one cranberry ratio. One hint to make the stringing easier is to use day old popcorn so it doesn't crumble as easily. The result of my efforts were these cranberry and puffy white garlands that now adorn my little "snowman" tree in my kitchen. What do you think? For years we had had this 4-foot tree downstairs in the basement where the boys and their friends used to gather to play video games or watch television. But, with my sons all grown and gone now, I decided to bring it up into the kitchen. I wish I had done this years ago as I just love seeing the soft white lights as we eat dinner or do the dishes each evening. Yes, every single ornament on it is a snowman with the exception of a few red and green jingle bells... We have snowmen (and a few snowwomen) of every size and shape. There are sledding snowmen, skating snowmen, even a snowman fishing. (None of my stitched snowmen are on this little three foot tree--I save them for my big tree). With all those tiny faces grinning at me each morning, it certainly gets my day off to a great start! What a beautiful holiday post! That should get everyone in a merry mood. Your ornament display is amazing. Each one is so exquisite and what a great idea to show them on the staircase. I think I like the latest one the best. That snowflake fabric is so perfect for it. I like your cranberry theme. Cute little gifts for your friends and that cranberry bread looks really yummy. Too funny about your family not appreciating your old-fashioned idea. But the tree looks super. I've never tried popping popcorn that way (although I don't eat popcorn these days anyway). I'm always afraid of setting the kitchen on fire! Such a great post!!! I looooove seeing all your 2011 ornaments hanging on your bannister! Wow! Hard to pick a favorite -- they're all so pretty! And your cranberry and popcorn and snowman tree! It's wonderful! The garland makes it so much fun! I love your newest ornies too. And the gift from June is really pretty! Where to begin!!?? Every single ornament is beautiful. I think November is my favorite with December coming in a close 2nd. I have the pattern out for the November ornament. You just might get me hooked on stitching ornaments with such high count fabric. It's not just older boys who look at you like you're nuts. Teenage girls also like to remind you that they're not the gullible little kids they once were. I'd be stringing cranberries and popcorn all alone too. The tree in your kitchen looks wonderful. I've been saying for years how much I enjoy the soft glow of lights I get from the tree I put up in the dining room. The kids wonder why I bother when we don't eat in there unless it's a holiday. It's because I can see the tree from the kitchen on dark December nights when I'm fixing dinner. It lifts my heart. Your decorations are beautiful! I love your 2011 ornaments hanging from the garland on the stairs. Your home looks beautiful for Christmas. Such lovely stitching. Cranberry Pumpkin Bread! Ooohh! Your ornaments are all wonderful !Love your popcorn/ cranberry garland..so cute ! Don't sell yourself short! I LOVE seeing your pictures and reading your posts! Your ornaments are fantastic together on the garland (reminding me to get garland for my mantle!!). Popcorn string is perfect for your snowman tree! And the stitched heart with the cat is so cute! Love pink!! This post was very inspiring for me--just what I need to get my day started! Hugs! Your ornaments are wonderful Carol, and I love the way you display them on your stairs, an idea I might just pinch if I ever get enough to do it with. Have a wonderful Christmas and I hope 2012 brings you everything you wish for! Glad to see that I am not the only "exhaustively long" poster, LOL! And don't fret over it Carol, I for one love the longer posts!! Your ornies are breathtaking all together...and each one is so wonderfuly finished! Some great ideas for those of us who are branching out into varied ways of finishing our pieces. The popcorn & cranberry garland turned out perfectly...and really finishes off your snowman tree nicely. Love the BHN finishes you stitched up for your friends too; I am going to have to get that one for myself. And what wonderful gifts you have received yourself...that sampler is gorgeous. Such a festive post, it gives me the warm fuzzy feeling of Christmas :o)!! So many gorgeous things Carol! I love your December ornament, and I also love any and all shades of blue! Oh they look so beautiful on your garland in the stairway. Everything else is gorgeous too! First of all, please don't stop the long posts, I love them. I've done what I always do when you post, seen to the children and then sat down with a coffee and enjoyed 5 minutes peace! All of the ornaments are amazing, but my favorite has to be the PS Snowman, it really pops on the black fabric. Have a wonderful Christmas with your family and a joyful New Year. I just love your little snowman tree with the garland! Little trees in every room make a home such a cheery place. Your new ornaments are great! I love the little snowman one - Oh Joy. I have to look back through your post and see where it came from because you know how much I love snowmen! Your sampler ornament is amazing. Can you explain a little how she finished it? I like to try one of those too! You have the most beautiful Christmas displays Carol! I always love how you hang your cross stitched ornaments on the garland. And your kitchen tree is absolutely adorable! LOVE the popcorn and cranberry strings. We did that once when the boys were much younger and Oldest and I pretty much did them while the two little ones ate a lot of popcorn, lol! Love your December ornie...such a coincidence because I just pulled that sampler pattern out a couple days ago, thinking it might be some very soothing repetitive stitching that I might have time to frame and display next year! 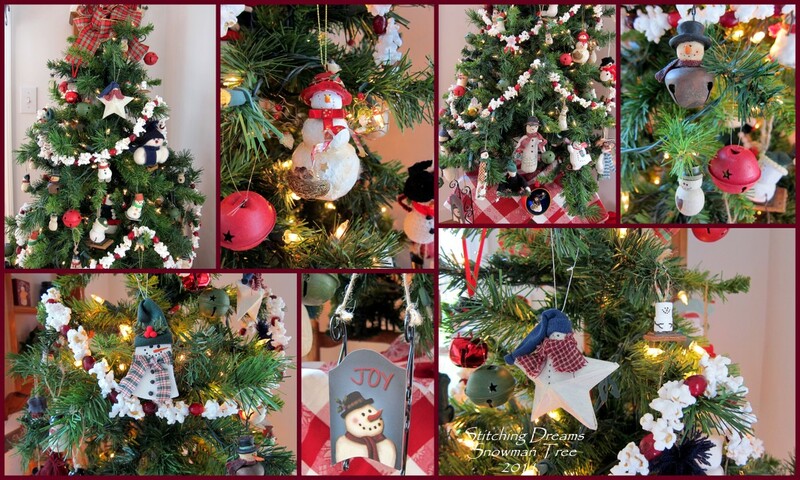 such a lovely post..i love seeing all the beautiful ornaments..
What a lovely, festive post! I couldn't pick my favorite of your ornaments, they are all STUNNING. I love your posts! Your 2011 ornaments are all so pretty. I think I like March the best! What a great idea to put a little tree in the kitchen and the popcorn/cranberry garland looks perfect on it! Maybe you can spray it with shellac or something and preserve it for next year! What a festive post! Love your December ornament and love how you have displayed your year of ornaments along your bannister. I just love your ornament collection Carol, my favourite has to be Deecember, it's so very elegant. I also adore your popcorn and cranberry decorations, they look perfect on your snowman tree. Lovely gifts from your stitching friends, I hope you enjoy them. Great post! Love the new ornament finish. All of 2011 ornaments look great going down the banister.Wonderful gifts. What a wonderful newsy post. I feel like we just had a nice visit. My favorite is the quartet of Santas in January! Beautiful, beautiful work. Isn't that Lynn a sweetheart! Always wonderful to read your posts. Your 2011 ornaments look just GORGEOUS on your stairs. Isn't it wonderful to have a wonderful collection and look back at what you did each month? Great gifts you gave and received:)) and I think your kitchen tree looks lovely with the popcorn and cranberry! Fingers crossed I may have a post as gorgeous and lovely as yours next year! So beautiful, Carol! Your garland and 2011 ornaments look amazing. And I love your kitchen tree. 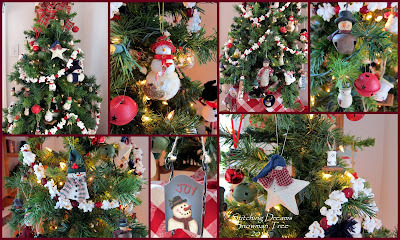 Such sweet ornaments and the popcorn cranberry garland is just perfect! I looove, it! I am sure the boys will like it too when they come home again. Just checked out Woodland Peace on Ebay . . it is available at a very reasonable price. Your ornaments are all beautiful!! Someday maybe I will have that many! What a beautiful display of ornaments, congrats! This post is the perfect Christmas post full of so many goodies! I love your ornaments and the way you displayed them is beautiful! Love the goodies and your little tree is precious with popcorn and cranberry garland. I am definitely in the Christmas mood..
What a great post. With two boys I quite understand where you come from when you say they look at you as though you have two heads and mine are only 10 and 13 lol. I LOVE your gorgeous ornaments, my favourite is Silent Night probably because it is blue,one of my favourites, closely followed by Good Tidings. Your tree is beautiful. Lovely gifts received. What a wonderful post Carol. I enjoyed seeing all of your Christmas ornaments for the year and your snowman tree is just delightful. I love your cranberry and popcorn garland - reminds me of a simpler time too. Oh Carol what a beautiful post, you make every thing look so Christmasy and special . Just love all your stitching, the blue one is beautiful, i love that one the best but then i really love them all. Looks like you are almost ready for the holiday. Love the popcorn and cranberry . What a wonderful post. Your ornaments look fabulous displayed like that, I couldn't pick a favourite if I tried they are all so lovely. What a beautiful post. I loved all your ornaments and your first gift to arrive. Wonderful post! The popcorn and cranberry garland looks simple and beautiful. My favorite garland ever was large cranberry-colored beads-wish I still had it. My favorite ornament is December. For some reason I love blue/white/silver ornaments. But I might change my mind when I saw the pink/brown heart from June. Do you think that is a L'Atelier Perdu pattern? It looks familiar. the whole post is great, but the snowmen tree with cranberries & popcorn wins my best award!!!! So beautiful & it would make me smile each time I saw it!!! I would love the bread recipe..sounds yummy! I bet your home is a showpiece at Christmastime!!!! Lovely!! Love your kitchen snowman tree! I'd like your cranberry pumpkin recipe, too, if you don't mind. Maye you should just post it on the blog for all of us! Thanks for sharing. Oh my goodness, what a fabulous post! I love your Woodland Peace finish - an oldie but goodie! Your onrnies are so beautifully displayed - I love how you've draped them along the staircase. I think my favourite is November's 'Oh Joy' because I've recently finished stitching it myself and you've given me an idea of how to finish it - thank you!!! I'm looking forward to 2012's Christmas Ornament post already!! Love your monochromatic finish - I'm all about blue! Yes my favo post... there it is!! What a lovely piece you have stitching for December... so ebautifull with all the blue, also the fabric. Your stairway is lloking as beautifull as last year..!! I so love when you do this!! Yes hop whipped it uo!! You say that, if it is 15 minutes work...lol.. But so very beautifull, I think your friends will be so glad with it!! mmmmmm your bread looks great...yummy yummy... What are they trilled with such a friend like you..
hihi I wanted to see teh faces of your sons...I love the idea.. and it looks great. All teh snowmens look so great.. it's a really lovely snowmen tree!! What a beautifull gifts you got!! Your posts are No problem for me .. I love reading them.. It takes me a half of hour.. but so loveling it!!! Have a great week and have fun stitchiing!! How inspiring all those ornaments (and your lovely decorating) are! I was glued to the screen, and I didn't find your post too long--it was too short! Oh Carol, how could I possibly pick one favourite, they are all soo amazing and beautifully finished! Love reading your posts my friend, they are always full of amazing eye candy finishes. Wow, Carol! So much great stuff. So happy to see the collection of ornies all together this year. They look so festive hung on your garland. I think my favorite is the Oh Joy one too! I'm amazed you've been able to stitch so many smalls. I completely fell off the bandwagon this year! lol Your decorations are lovely and so are the gifts you received. That heart from June is a stunner! Love all your ornaments from 2011. I like Oh Joy the best. I kitted one of those up for a friend of mine and I need to do it for myself! Do you keep the ornaments on your garland, or is that just for picture taking?? I have 3 trees and one skinny one stays in our kitchen/family room area so I can enjoy it since that's where most of my time is kept. Lovely stitched gifts too! I discovered your blog last year when you showed your 2010 ornaments. Here we are a year later and a whole new set of beautiful ornaments. Your work is delightful - thank you for sharing. 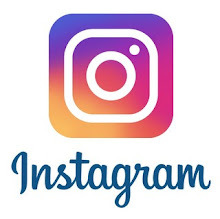 I love all that you've shared in your post. Thank you, again. Once again, a lovely post Carol. Your year of ornaments is beautiful...hard to pick a favorite. I love them all!!! Your December ornie is adorable. I love looking at editions from past years to find a "new to do " pattern. The blues match perfectly! What fun stitching treats both given and received. You did a great job on your popcorn/cranberry garland. It's a perfect addition to the snowman tree. Your home is so festive and warm. Merry Christmas dear friend. I wish you all the best for a memorable day with all of your boys! Carol!!!! What a wonderful post! Your ornaments for this year are stunning, I can't pick a favorite, but I am kind of partial to the PS ones. Your finishing is lovely. I love the little cranberry pinkeeps. Such sweet gifts. Everything else is amazing too!1 I love your garland. I loved this post. Now after all my paring down and limited decorating, I see this and want to get everything out that I already had out and put back! Your ornaments are so special and what a perfect display. No way I could pick a favorite. Oh my goodness - your ornaments are GORGEOUS! You have the loveliest ideas for finishing. When you get an opportunity, would you please email me your address? I have a little something I'd like to send your way. What a wonderful post! Loved to read it. The ornaments are great!The cranberry pinkeeps are gorgeous! I love all your ornaments, makes me want to start stitching again. What have you done with the ones from last year? Will you plan to make more for next year? Your posts are never long enough, Carol! Never apologize for being wordy--I love reading each and every word and gawking at the pics. As soon as I saw that you'd done a post, I ran and grabbed another cup of coffee so that I could look at everything while sipping a nice cup o'joe. Everything is amazingly fantastic. LOVE the new finishes! I've never heard of Beehive Needleworks before but do love their design--very cute! I love your snowman tree, too. While I was upstairs ironing interfacing to my ornaments (and crying and trying to curse and wanting to kick myself for letting so many pile up...), my husband put some garland on our stairs and hung some of my stitched ornaments from it. He was just saying this morning that we need more garland for it--what he used is older and it needs to be kicked up a notch. I'll have to show him your post for what it SHOULD look like! :) Anyway, again--beautiful work! I love all you finishes - especially the blue one, so beautiful! And your stairs and Christmas tree look so adorable with those ornaments! Carol, your Christmas ornaments are beautiful and I love how you decorated your bannister with them! My mom strings popcorn for her tree and has since I can remember. The cranberries add a pretty touch. What a wonderful , beautiful holiday post!! Love all your ornaments Carol and gift from June! Hope you have a great Christmas . Maybe this year I will be able to stitch a monthly ornament!All the best fro 2012! Oh yum! Cranberry pumpkin bread - I usually freeze cranberries so I can make it year-round I love it so much. I love your ornaments, and I have to say your favorite is mine as well. I stitch Glad Tidings to You, but seeing your finish makes me want to stitch it again and finish it like yours. These are just so beautiful...congrats on finishing all of them! My favourite is your December finish...it's breathtaking, especially with the black and blue fabric you chose. I just love and adore this year's collection or ornaments, my little eye spies a few I like. Wow!!!!! These ornaments and your Christmas display looks awesome, it is simply breathtaking! I love the way you have decorated the staircase and I particularly love the blue and white ornament, it's gorgeous! Sending you holiday good wishes. it`s a plasure to visit you.. Favorite??? very dificult, perhaps march and dec... and... ALL! oh wow, Carol, your ornaments are stunning!!! I love your December one but I most definitely couldn't pick a favourite out of them all. I love the Cranberry Deer Pinkeeps. They are gorgeous! Mmm I could just eat a piece of your Cranberry Pumpkin Bread. It looks delicious. wow...carol...that was an amazing post....lots of kisses to you...i love the idea of popcorn and cranberries...and it looks awesome on your tree...i love all your beautiful ornaments too...and the way you displayed it...lovely...have a merry christmas.. Your 2011 ornament collection is absolutely beautiful. ☺ A couple years ago, I did an ornament a month and it was fun. Now that I'll have more time on my hands, I may try to do that again. Enjoy your wonderful gifts. Merry Christmas! Oh your ornaments are a feast for the eyes, just wonderful. I love what you did with the popcorn & cranberries, great idea!! Wow. What a great display of your pieces. I adore all of them. I can't pick just one. The cranberry story so cute. The baked goods yummo. The tree upstairs great idea. As always, you know I adore your stories. Have a blessed christmas. Oh Carol, what a post full of goodies!! Everything is so pretty. Love your popcorn garland - isn't it funny how our boys just don't get things sometimes!?! Wishing you a Merry Christmas my friend! You should be proud of your "2011" ornaments, because you did a fantastic job! I think my favorite one would also be the October one, I really like how you finished it. I also like how you finished the February one. Your kitchen tree looks so cute! Don't apologize for a long post. I enjoyed reading every bit of it. I love your new ornament and how you've displayed all your stitched ornaments. It's gorgeous! And that Christmas tree with the popcorn and cranberry garland is just precious! I've enjoyed this post so much Carol! Your 2011 ornaments look fabulous and I'd love to display mine the way you have done. Unfortunately I'm afraid my cat would be batting at all of them on the stairs and treating them as her latest toys. Your popcorn and cranberry garland is brilliant! I wish I had thought to do that with our tree. It reminds me of simpler times as well. Did it take you very long to string all that garland? I love your cranberry deer ornaments! I adore deer but I've yet to stitch one for myself. Is it possible fo you to share your cranberry pumpkin loaf recipe? I've misplaced mine and would love to give yours a try. Gorgeous ornaments! I love how you've displayed them on your banister as well. Fabulous! Carol, what a lovely post! There so much there and so much to comment on! All ornaments and gifts were just gorgeous and so classy! I wish I could dare to decorate my house like that, but alas I have one very naughty cat (nicknamed "Devil Cat" and I woke up with a scratch on the tip of my nose that suspiciously looks like it could be from a certain cat that likes to share my pillow at night). I also feel like my home just isn't a showpiece so why bother. My place looks quite lived in. What a lovely thank you from Lynn she and I are friends I've been to her house several times and she's a really nice person. It's beginning to feel like Christmas seeing your ornie post! It's so hard to choose, they're all so great, but I must say the February Santa with twigs is my favorite. Love your snowman tree, too. Merry love and hugs to you! WOW! I think your Christmas decorating is absolutely beautiful. I adore all those gorgeous ornaments you've finished this year. My faves are definitely the January Santas and the November snowmen, delightful! Oh I love your posts, however long! Wonderful ornamnets, I couldn't possibly choose a favourite. Your Christmas displays and tree are beautiful. What a great post, full of so much eye candy! I really love your latest ornament and the creative finish you have done. You made some really beautiful ornaments this year and I just love the way you have displayed them on your staircase. Love the reindeer pillows, which remind me that I have this chart and have forgotten about it. Great idea with the garland, it' so pretty. Not sure if I can get any cranberries, but a great idea to keep my girls occupied in this last week leading up to Christmas. Thanks for the idea! Withing you and your family a safe and happy Christmas and new year. Thanks for sharing all the wonderful photos of your beautifully decorated home! You are so talented with your stitching and finishing. Happy holidays. Add me to the list of people who enjoyed last year's Bannister Feature: The Year in Ornaments and is glad to see it continue. Thank you! I think my favorites are August or October; I do like the house in December! Overall, can I say "Last Year" without irking you? :) So many of those were just right up my street--though your stitching and the finishing decisions and technique of this year's offerings are as good as ever. So, anything to take the pressure off and bring the enjoyment in. I'd love to hear more about your Cranberry Pumpkin bread! It looks delicious, and if it tastes half as well as your DH thinks it's a golden recipe. I enjoy cooking, but never get around to enough baking, so tried and true recipes from a pro like you are valuable! I tried stringing popcorn a few years after I graduated from high school, and found it to be SO much trouble! I think my plain popcorn was not "plain" enough, and while the idea of waiting to let the popcorn become more "stale" for stringing ease is not a foreign one to me, I must not have waited long enough! But, I understand why you wanted to do it, and it looks lovely! I enjoy your long posts as their length is a necessity for all the wonderful things you are sharing. The only drawback I can see is that they will incite overlong comments (like this one! ), but if you can endure that effect I entreat you to continue on as you are! Oh Carol! I am speechless. Your ornaments are so very beautiful. I want a staircase so bad now!!! Your December ornament is wonderful, the fabric you finished with looks so nice. Men. They are the silliest creatures. Your kitchen tree looks awesome. I love the popcorn & cranberry trim. After the holidays you can put it outside for the birds! What a great post Carol! It was so much fun to read it and look at all the pics! I love that we ended up stitching the same ornaments a couple of times through the year and what a sweet Dec finish. I think your snowman tree in the kitchen is the perfect choice for it. For a number of years we've had our larger tree in the dining end of the kitchen and I love that I can sit and look at it whenever I'm at the table! That cranberry loaf looks delicious and I'd love the recipe sometime. Have a wonderful Christmas my dear, enjoy having everyone home! A beautiful Christmas decorations. It is a very beautiful staircase decorated with them. To me the one I like is that snowmen and the last thing you did. A nice Christmas tree, with a very handmade garlands. My best wishes to you and yours this holiday season. hello Carol, your ornaments look great, I´m getting really inspired with new ideas, thanks ! I hope you had a really nice, cozy christmas ! Wonderful!!!!!!!! I also love your ornament posts. They are a highlight among all the December posts. Your December ornament is just gorgeous and look at the finished result! WOW! And to see all of them together is amazing :o) I can't pick a favorite. I just can't! What lovely gifts you received. The heart pillow is so well done!